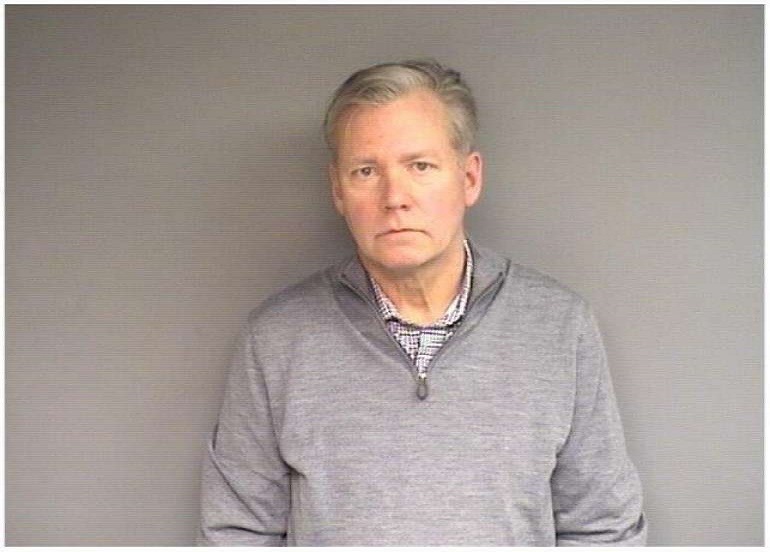 STAMFORD — Shippan resident and “To Catch a Predator” host Chris Hansen has been accused of bouncing checks and failing to pay for $13,000 worth of marketing materials he received from a local vendor. According to a four-page arrest affidavit, Hansen asked Peter Psichopaidas, owner of Promotional Sales Limited of Summer Street, for 355 ceramic mugs, 288 T-shirts and 650 vinyl decals. Hansen planned to use them at marketing events, the affidavit said. The total amount due was $12,998.05, and Psichopaidas said Hansen agreed to pay the entire bill before delivery, police said. Three months after receiving invoices for the goods in September 2017, a person working for Hansen sent a Hansen News LLC check for the entire amount, police said. But police said the check bounced and Psichopaidas spoke to Hansen, who apologized and attempted to make a partial payment. Psichopaidas filed a complaint with police last April when he was still not paid. Investigator Sean Coughlin called Hansen, who agreed to make a statement at the Stamford police station, but never showed up, the affidavit said. Psichopaidas said a few days later, he refused Hansen’s offer to make four partial payments. Hansen then promised his wife would drop off a check, but she never showed up, the affidavit said. Coughlin warned Hansen that he had been given ample time to pay the invoice, and if he failed to do so, he would be arrested for larceny. On April 27, 2018, Psichopaidas said he received a personal check from Hansen for $13,200, which bounced three days later, the affidavit said. Hansen emailed Psichopaidas the day the check bounced. But another check never came and an arrest warrant was issued for Hansen, who turned himself over to police on Monday and was released without bond. “To Catch a Predator” was a news show through the lens of a hidden camera that documented encounters with men who had been lured by decoys after they made online contact with people they believed to be underage children. The men were confronted, questioned by Hansen and arrested by local police. The show was canceled in 2008, but episodes continued to air on MSNBC.